Samah, a girl from the slums. Zinab from negativism to positivism. Amany, I am going to be a lawyer! Injy, from weakness to strength. Another three months passed and 2018 results prove that we are on the right track. Our effort to make a real change, and lasting impact in the lives with touch is undeniable. 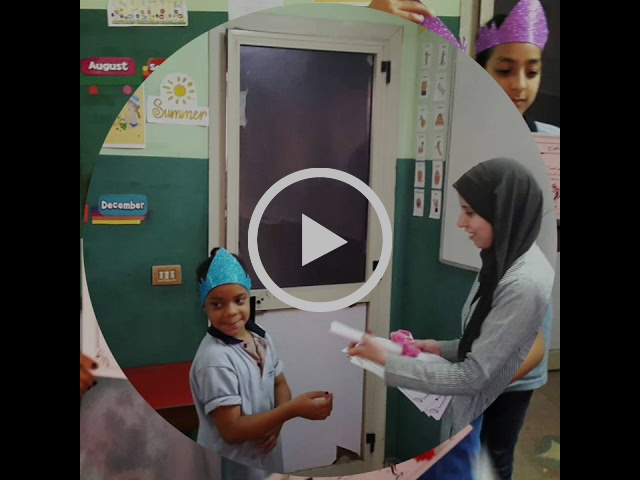 In partnership with Educate Me Egypt foundation, we graduated a class of girls from the 3rd and final level of the Heya Masr program. In the three parts program, we trained the girls on how to build their confidence, how to draw their dreams and goals for the future. How to increase their inner self-esteem, how to make the right healthy choices in life, when it comes to eating, hygiene, and how to stand strong against the rising bullying and sexual harassment. The results are outstanding and the parents are very proud of them. 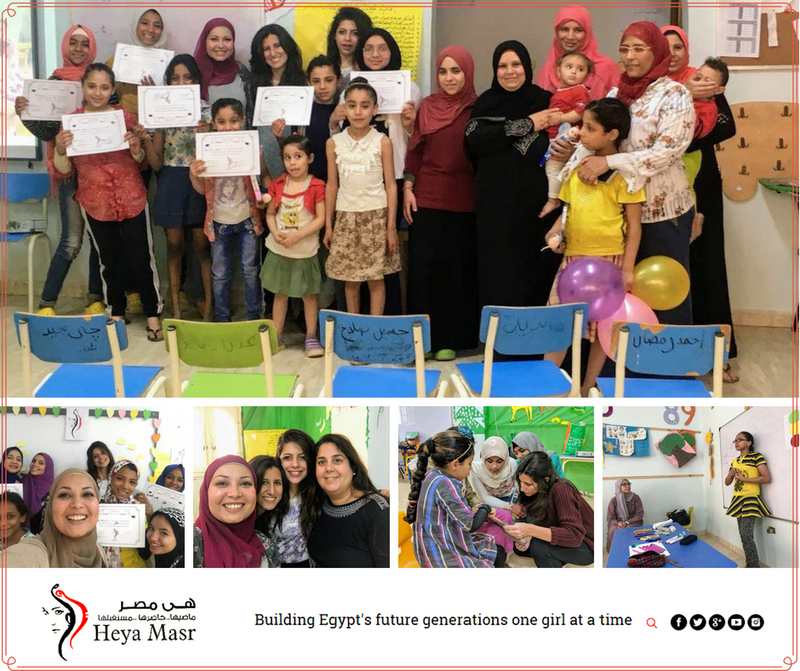 All credit goes to the team of dedicated trainers and volunteers who make Heya Masr’s vision comes true. THANK YOU! Support Girls Education Today. $5, $10 ,$25 can make a difference. In partnership with Tawasoul foundation, we graduated another girls class. Similar to all our classes; it consists of three levels and it is focused on three main pillars which we believe are fundamental to develop a healthy character that is capable of handling the life difficult circumstances and hopeful for tomorrow future. 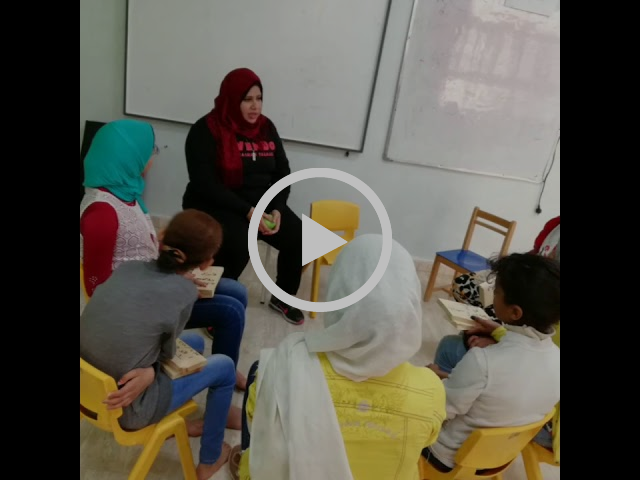 In our Heya Masr program, we train girls and boys on developing their characters, increase their awareness with healthy eating habits and give them the tools to stand firm against the rising numbers of bullying and sexual harassment. The comprehensive program has been running for over four years and has been making a significant impact in all our classes and in every community. Support Heya Masr. Gift to Educate a Boy Today! How our volunteers feel about being part of the team of Heya Masr impacting the future generation. In this interview, I ask Shereen a few questions about her experience as part of Heya Masr team. Shreen has been part of the team for over 7 months and wanted to share how the experience impacted her personally and how she impacted the girls in classes. Watch above! Self Defense classes has been an integral part of our work and program. It is a tool that we use in every girl’s class to boost self-confidence and self-esteem. Omnia Abdelaal and her sister Amany are certified Wendo trainers. For the past four years, they have provided training to all our girls and they still continue their contribution to the team and to the next generation of Egypt. A big THANK YOU to both Omnia and Amany. Support Heya Masr. Gift to Educate a girl Today! In 2018 has been great and we have been growing in a team and in classes. We need your support more than ever. Please, take a moment and send us your support. Pray for us and contribute to the effort happening on the ground. We are proud of the success we made to date and committed to continue our work to change the future for kids all over Egypt. Please support us financially today to empower and equip the next generation for a better Egypt. Support Girls and Boys Education Today. $5, $10 ,$25 can make a huge difference in their lives! The first 3 months of 2018. What we have been up to? Your Support is a key element to our success. For only $75 you are providing education for a girl for 3 months! We are looking for a competent Volunteer Coordinator to recruit and manage volunteers. You will be responsible for allocating responsibilities and retaining the best people. It takes a competent leader to succeed in this profession. You should know how to distinguish talent and do everything possible to motivate and inspire. You must possess excellent organizational skills and ability to communicate with people from diverse backgrounds and experience. The goal is to ensure that our organization is always staffed with the best and most reliable individuals and that they are correctly utilized for the fulfillment of our mission. Copyright © 2017 Heya Masr. All Rights Reserved. Sign-up now & get the latest E-mail updates.